Just 3 months after its pre-launch in Europe in September, Enhanzz Global is in the middle of its pre-launch phase in the Middle East, where its regional headquarter is located in Dubai under the registered trade name of Enhanzz Middle East LLC. 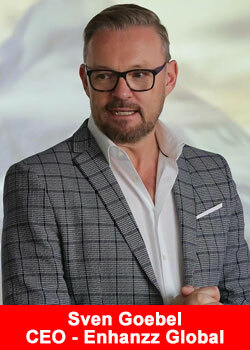 Enhanzz Middle East appointed CEO Eric Gottschalk, a German national who lives in Dubai since almost 20 years. Eric’s background – next to Network Marketing – is classical entrepreneurship. Consequently, he put together a great team of talented experts which on a daily basis is coordinating with the Global HQ in Switzerland to ensure the regional launch of the Enhanzz daughter operations happens as smoothly and professional as it did in Europe. “We are very excited about the early opportunity to enter this marketplace. Registration for Brand Partners will be open from 1 December and the first deliveries of products is scheduled for the week of 15 December offering a similar product selection and pricing to Europe. Local leadership is also already lining-up for registrations while European Brand Partners can soon start registering downlines in the UAE and 4 other simultaneously opened GCC countries: Saudi Arabia, Kuwait, Bahrain and Oman. While the business entity Enhanzz Global stays centralized in Switzerland, Enhanzz Middle East acts as a fully synchronized subsidiary in regards to the consumer oriented HANZZ+HEIDII business. The expansion strategy allows the company group to act quickly and efficiently, with local product-, marketing & sales support and global technical and administrative support. The model is fully scalable for efficient further global expansion.